Jabra is a global company that adheres to strict environmental policies regarding the disposal of electrical and electronic waste. Within the European Community (EC), the problem of electrical and electronic waste has been a major issue for many years. The EC has now implemented legislation for dealing with Waste of Electrical and Electronic Equipment (WEEE). The requirements are outlined in the directive no. 2002/96/EC and 2012/19/EU (also called WEEE2) and each member country (and associated countries) is required to implement this into local national law. The Battery Directive 2006/66/EC, which regulates the content of hazardous substances in batteries and introduces producer responsibility for the handling of battery waste, covers batteries. The objectives of the EC's environmental policy are to preserve, protect and improve the quality of the environment, protect human health and utilize natural resources prudently and rationally. The key aspect of this policy as it relates to Jabra’s products is separate collection. Separate collection ensures WEEE and batteries receive the specific treatment and recycling they require, supporting in achieving the desired level of protection of human health and the environment in the Community. 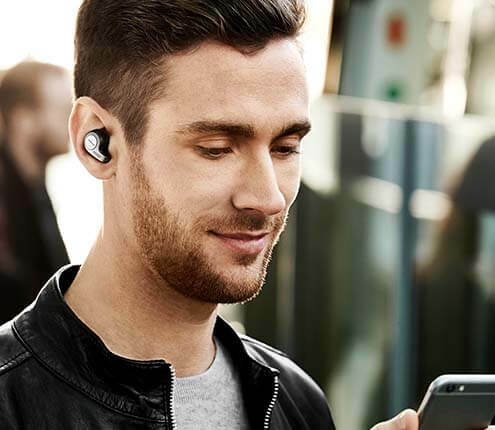 As a responsible supplier of innovative and high quality products, Jabra has taken the necessary steps to meet the WEEE and Battery Directive requirements. 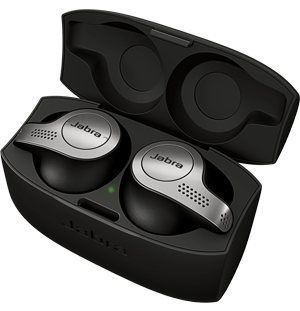 Jabra (through GN Audio) or its distributors has registered as a WEEE and battery producer and is a member of collective waste handling organizations in the EU and associated countries, in accordance with national laws and regulations. All Jabra products should be considered EEE (Electrical and Electronic Equipment) and handled as WEEE. Since August 13, 2005, we’ve used this mark (sometimes with a bar under the mark) on the packaging box and the warranty card accompanying Jabra products. Depending on the product type and size, you might find this mark directly on the product as well. When you’re finished using your Jabra product, please make sure you deliver the product for recycling to the WEEE collection system in your country or to the shop/distributor where you bought the product. This will ensure the product is handled and processed properly, and that no harmful materials are released into the environment. You’ll find this mark on replaceable batteries and battery packs, intended for separate collection, imported into EU after September 26, 2008. Once you’re finished with your replaceable battery/battery pack, please make sure you deliver the battery for recycling to the battery collection system in your country. If your product uses non-replaceable batteries, these should remain in the product and handled as WEEE.